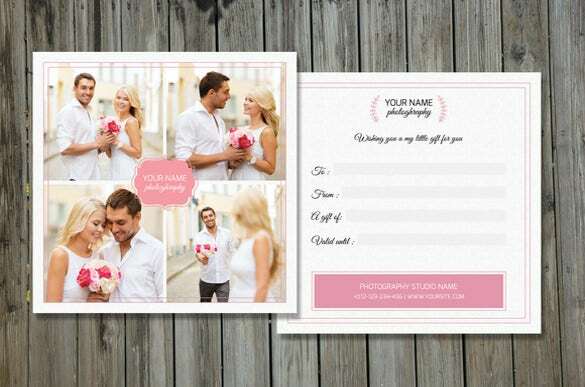 12+ Photography Gift Certificate Templates – Free Sample, Example, Format Download! 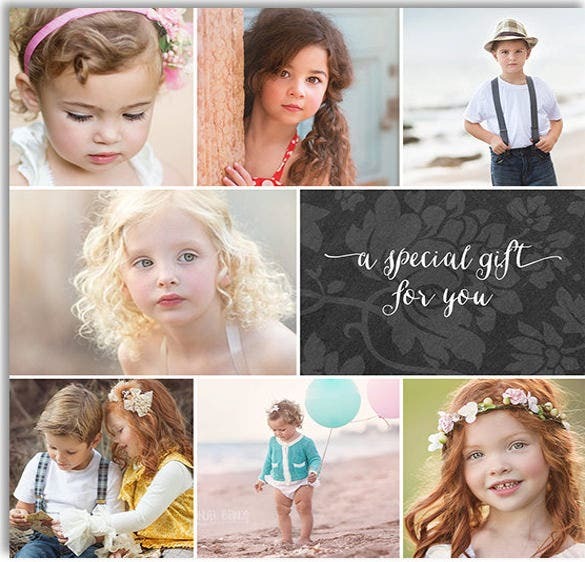 Everyone no doubt wants to gift something unique and special to their photographer friend. This is not a bad idea at all. But try to play a little safer. Try to gift him/her something that he/she doesn’t have. 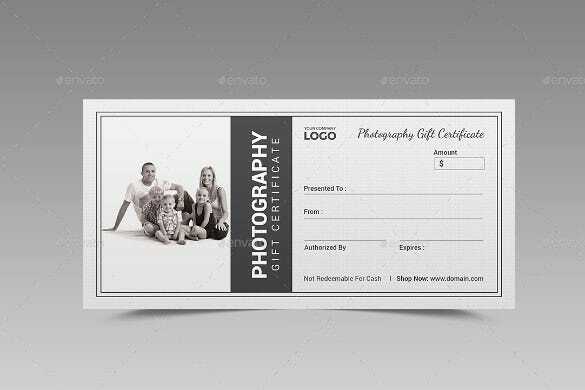 To refrain from committing any mistake and turn out buying the wrong gift, you can now opt for a photography gift certificate. 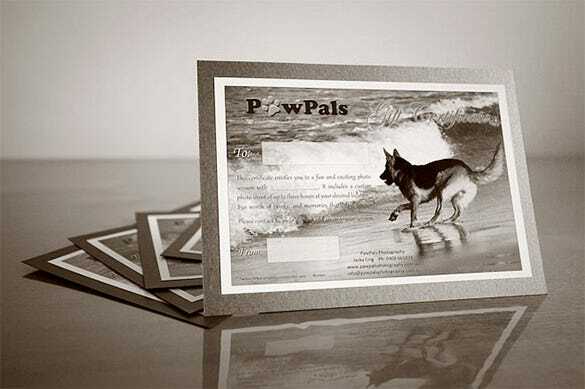 You may Also Like Restaurant Gift Certificate Templates The amazing sample photography gift certificate templates which we provide will make your job easier now. You can download them in whichever way you wish to, place your thoughts in. 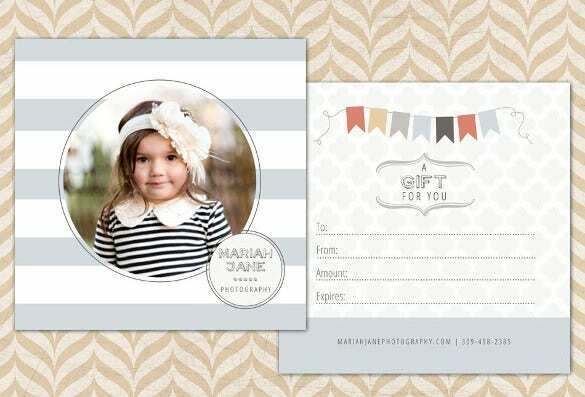 Now make your photographer’s world more colorful with these personalized Gift Certificates. 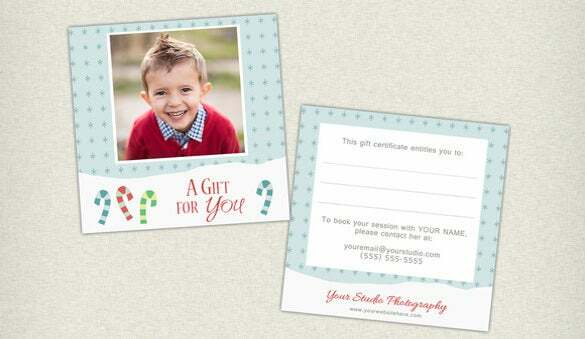 The smiling family picture speaks of happy captures and creates the right mood for a photography gift certificate. 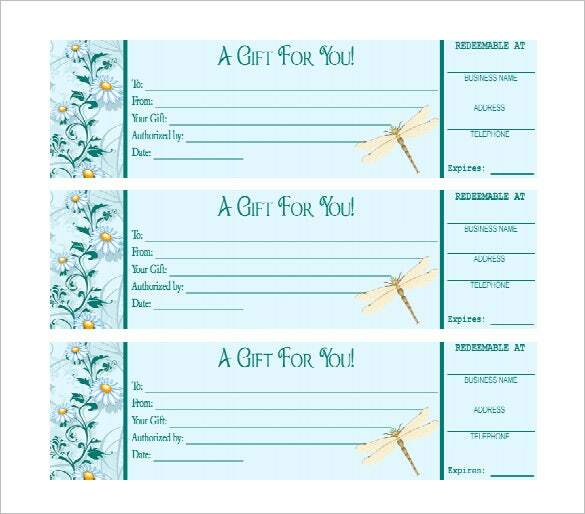 The left side is all about the picture while the right side will house information about the gift certificate. 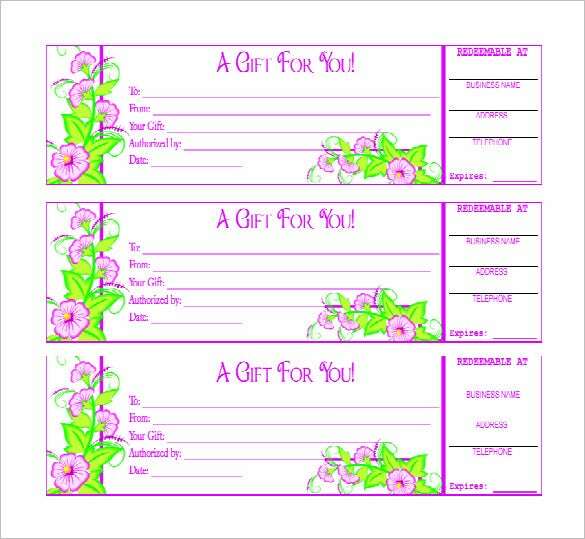 You are getting the gift certificate template in as many as five color variations. 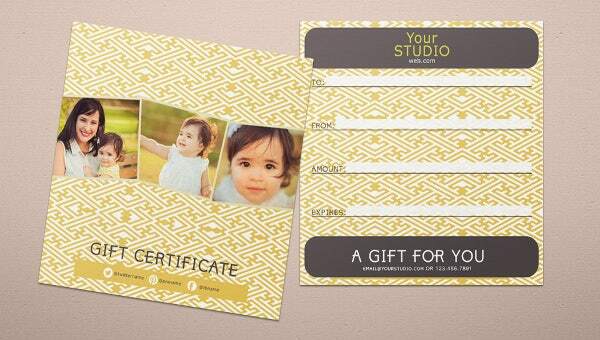 You are getting a real pretty two-sided photography gift certificate here. The front side will house a collage of 4 pictures and you can include your studio name at the center inside a cute pink frame. The back side is all about all the necessary data about the gift certificate. If you are a baby photographer by profession and looking to distribute gift certificates, nothing can be cuter than this certificate. The front side of the certificate hosts a sweet picture of a baby inside a circular frame and you can also include your name here. The back side will talk about the certificate details. hooverwebdesign.com This blank photography certificate template offers you 3 certificates in one batch with pretty floral designs at two sides. 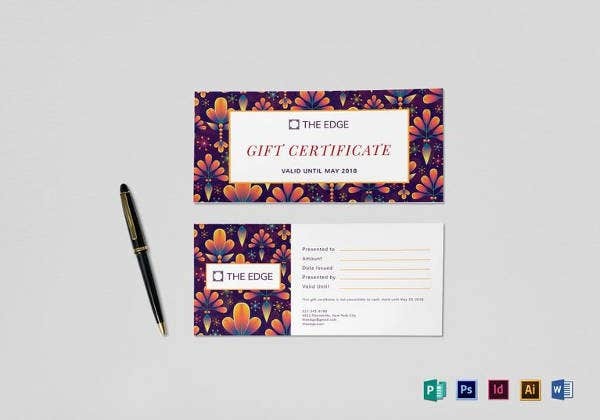 The majority of the certificate is all about the related details like gift amount, authorization and at the right you have details on redeeming the certificate. It’s a neat and clean design. 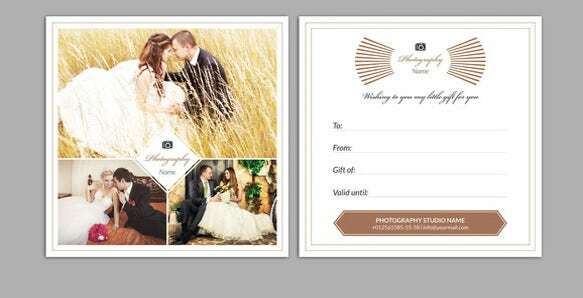 If you are wedding photographer looking to distribute gift certificates, this gift certificate here would be a great option for you. The front side of the certificate will allow you to include one wide shot and two small captures and you can include your name here. The back side would about the certificate details. If you are looking for a true classy photography gift certificate, this certificate here would be great for you. 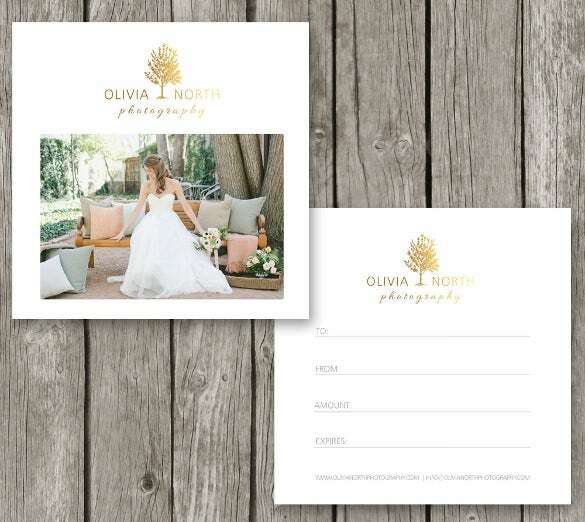 The front side starts with the name of your studio and logo followed by a grand shot. The back side includes all the essentials about the gift certificate. It’s elegant & stylish.